The Maldives are the ultimate in island hideaways. 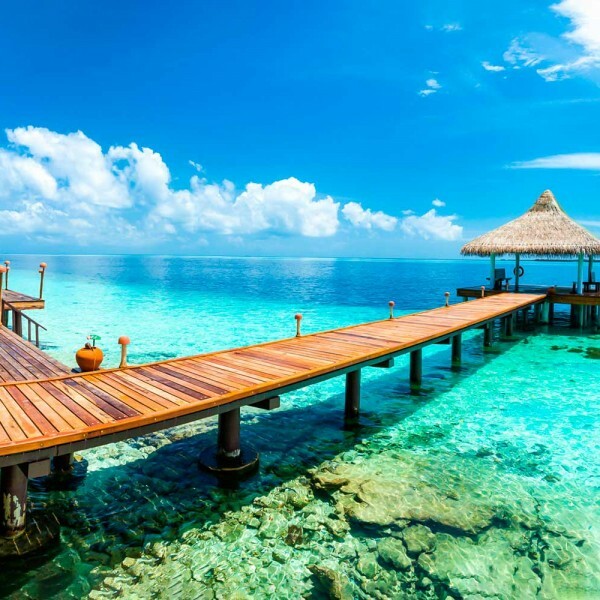 A collection of small islands set in an archipelago of iridescent atolls, the Maldives are dotted across the equator southwest of southern India; a garland of little gems scattered on the turquoise waters of the Indian Ocean. Each resort in the Maldives has a shallow, brilliant blue lagoon and is surrounded by a coral reef. The islands themselves are blessed with relatively deserted beaches of soft powder-white sand with an idyllic backdrop of gently swaying palms. This is a place of tranquil calm – relax on a daybed at your stilted villa with the waters gently lapping below and then amble down the private steps of your villa into the warm sea. Expansive beach villas, many served by private butlers, come complete with their own stretch of sand. Many resorts offer spa treatments which will make your stay even more relaxed and indulgent. Most islands are small enough to walk around; to explore some you may need to borrow a bicycle. You can cruise the atolls in a traditional wooden Dhoni or escape to a sandbank in the middle of the ocean for a romantic private dinner or sunset cocktails. Local Maldivian cuisines includes fresh fish, fruits and spicy curries and you can also enjoy a great variety of international foods as resorts cater to all tastes. The Maldives are an ideal honeymoon destination, offering a total time out from the demands of life. They also make a good destinations for families. Several resorts offering excellent children’s clubs with first class facilities and imaginative activities giving children and parents alike some down time. A top dive destination, imagine diving deep amongst delicate coral reefs, accompanied by effortless rays and exotic parrotfish. Watch a black tip shark glide silently, marvel at a whale shark in all its spotted glory. The crystal clear waters around the Maldives are home to a kaleidoscope of underwater life including exotic fish, turtles, sharks, dolphins, sting rays, moray eels and manta rays. 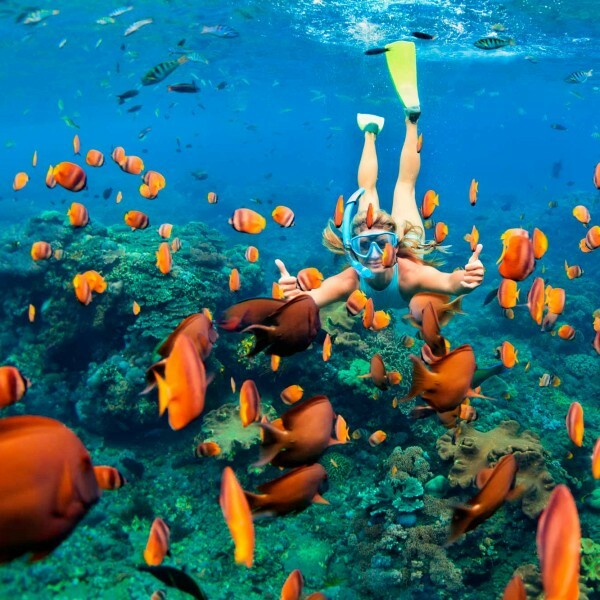 Diving safaris and snorkelling trips are a popular way to pass the time. An ideal island-hopping destination with transfers by seaplane or boat, consider staying on two contrasting or similar islands during your stay. 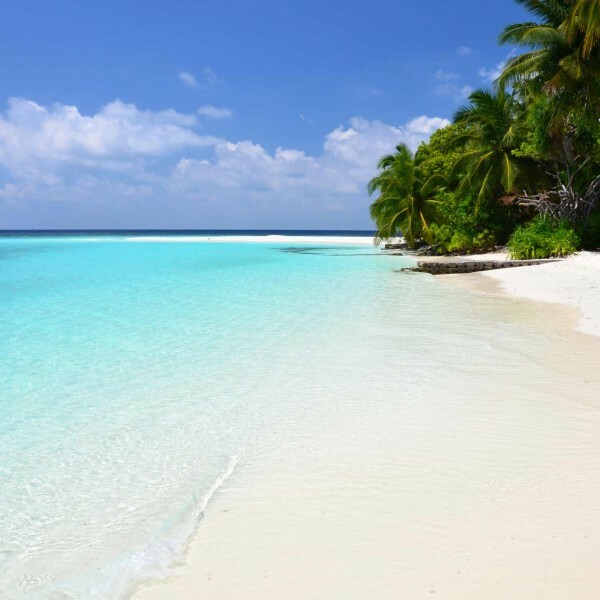 The Maldives enjoy a hot, tropical climate with all-year-round sunshine. The most popular months to visit the islands are between November and April when it is dry with little wind. In the summer months there can be some rain but with changing weather patterns and excellent offers, the summer is becoming an increasingly popular time to travel. Depending on the location of your island, your transfer from Malé airport will be either by seaplane or speedboat, both of which may be on a shared basis. Seaplane only operate during daylight hours.